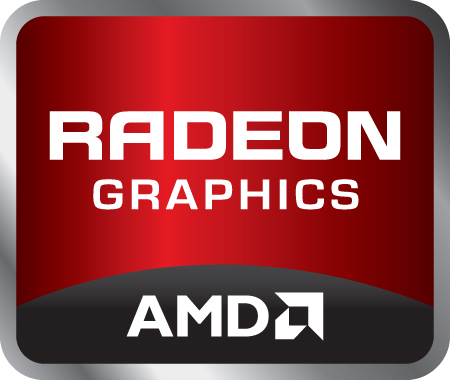 The AMD Radeon R9 M290X is a 28nm DirectX 12 graphics card based on the GCN (Graphics Core Next) architecture. Built primarily for large laptops, the advanced card is positioned near the top of the high-end category as of Q1/2014. Its performance and feature set are identical to the HD 8970M, as the M290X shares the same core and features the same clock rates. The design of the Radeon R9 M290 series has its roots to the Pitcairn chip as found on the desktop Radeon HD 7870. The M290X in particular is similar to its desktop Radeon HD 7870 counterpart with 1280 1D shader cores and 80 texture units, but has a core clock of only 900 MHz (boost) versus the 1000 MHz clock of the HD 7870. Compared to the HD 7970M, the M290X shares the same base clock rate but with a 50 MHz higher Turbo clock for a 6% increase (1.01 TFLOPS vs. 1.07 TFLOPS) in raw SP calculations. As a result, general performance of the M290X is somewhere between the 7850 and 7870 desktop Radeon cards. As mentioned before, the M290X is just a rebrand of the HD 8970M with identical performance. When compared to mobile Nvidia GPUs, the M290X performs a bit below the GeForce GTX 780M and slightly above the Nvidia GeForce GTX 680M. Therefore, almost all demanding games of 2013 will run fluently on very high details and 1080p resolution. Features of the M290X include the new UVD3 video decoder for decoding MPEG-4 AVC/H.264, VC-1, MPEG-2, Flash, Multi-View Codec (MVC) and MPEG-4 part 2 (DivX, xVid) HD videos directly from the AMD GPU. The M290 series also supports automatic graphics switching between the integrated GPU and discrete GPU. Called Enduro, the technology supersedes AMD's Dynamic Switchable Graphics and is similar to Nvidia's Optimus. Furthermore, the M290X can directly support up to 6 connected monitors using Eyefinity Technology if Enduro is disabled. Other features of the M290 series include ZeroCore for reducing power consumption when the display is turned off. Power Gating, however, is not supported according to AMD. PowerTune allows automatic overclocking and underclocking of the graphics card as long as the GPU is within its TDP range. For example, the chip may be underclocked when running FurMark and OCCT, but will overclock in certain games like Lost Planet, Crysis or Resident Evil 5. Power consumption of the M290X is in the same ballpark as the GeForce GTX 780M. The subsequently large heat output suits the GPU as an option only for large laptops or DTRs (desktop replacements) equipped with relatively powerful cooling solutions.